We’ve known it’s been coming for a while now and while the Moto E isn’t the most exciting device to come from Motorola in a while, it’s no less important. 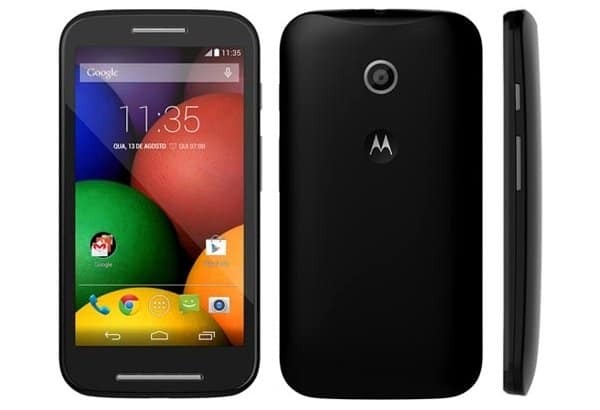 Following in the footsteps of the Moto G, the Moto E is designed to be easily affordable by everyone without compromising on the overall experience of the device. 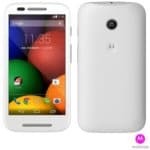 More of a device for those that can’t afford a Moto X or even a Moto G as well as developing countries, the Moto E is the most affordable smartphone the company currently offers and considering its low price, it still manages to offer a lot to consumers all over the world. Not only is it affordable, but Motorola is promising a device that can take a little rough and tumble. With a 4.3-inch qHD display (which is 960 x 540) and a dual-core 1.2 Ghz Snapdragon CPU, 1GB of RAM and 5-megapixel camera the Moto E isn’t winning any awards for being a powerhouse. Still, the device is packing Android 4.4.2 KitKat, a 1,980 mAh battery that Motorola is promising “all day” from and while the 4GB of storage isn’t much, there’s a microSD card slot and just like the Moto G there’s an FM radio built right in to help people get music no matter where they are. Motorola is launching the Moto E with a guarantee to update it to the next version of Android and we’re pretty sure it won’t stop there. While the Moto Maker is reserved for the Moto X, Motorola will offer a range of nine colored shells you can use to change the color of your Moto E and the device itself features a splash guard for those times you get your phone wet, but not soaked. You might have noticed that the E is a pretty chunky device, and this is due to the fact that the Moto E is something of a rough device Pricing is where Motorola is hoping to draw in a new wave of smartphone customers and with prices all over the globe like RS 6,999 in India. In the US, the device will be available for somewhere in the $130 price range and £90 in the UK. It’s going on sale in the US today and the UK from 19th of May onwards. The device will be available globally, but the company has yet to announce specifics just yet. These sort of devices might not excite the likes of us, but budget smartphones are a big deal as emerging markets put down their feature phones and pick up a smartphone. Why shouldn’t that smartphone be a Motorola? That’s what Motorola is going for here, and considering the success that the Moto G has enjoyed all over the world, it seems like a good plan to us. Motorola has seen a gap in the market and offered the best value for money with the Moto G and now they’re taking things further with the Moto E by offering a phone that’s incredibly affordable while also offering a decent Android experience. 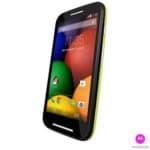 The post Motorola Announces Moto E with 4.3-inch Display and Android 4.4 for just $130 appeared first on AndroidHeadlines.com |.